The .uif files is created by Magic ISO, which is a windows application to create, edit, and extract CD/DVD image files. For windows there is a freeware tool called MaginDisk that can open UIF images. But in Linux, you have to convert it to an ISO image file to open it. 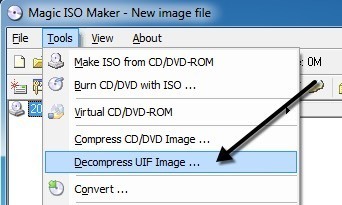 The fastest method to convert a UIF images to an ISO images is to use UIF2ISO. YUIF2ISO is a tool in Linux to convert a.uif file to .iso file. You can download and install this command line tool from here. After downloading, unzip the tool and navigate into the src directory. Once you are over with the installation of the program, follow these steps to open your UIF images. To open the file, first convert the .uif file to an .iso with the following command. How to enable DKIM in cPanel server.